Everyone is busy learning about latrines and waste management! Trainers from the Water Expertise and Training Center in Ndola, Zambia are back in Malawi working with our teams teaching them all about Low Cost Sanitation. The 5 day training from September 17th to September 21st is being held at the Naming’azi Demonstration Farm near Zomba. 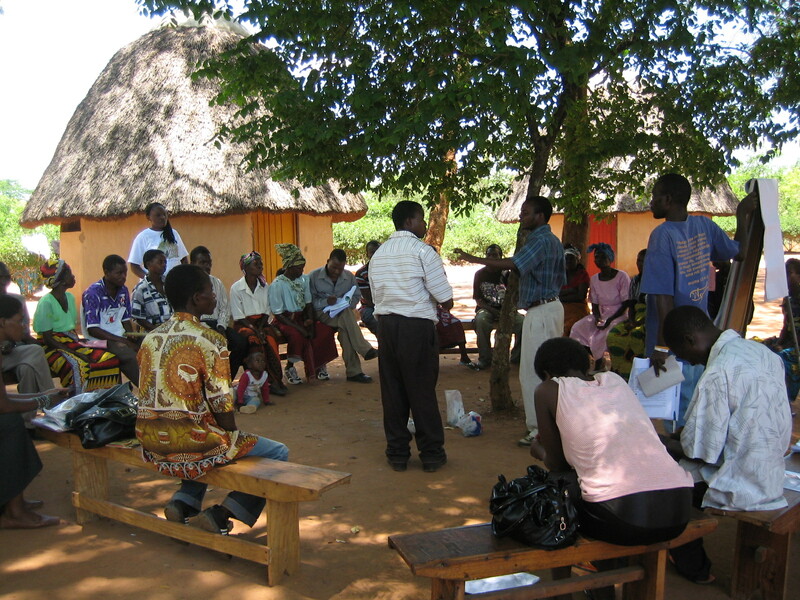 This workshop introduces low cost sanitation using instruction and hands-on experience. Participants will gain a clear understanding of the issues and best practices included in sanitation – excreta management, hygiene, vectors, wastewater management and solid waste management. The workshop theory explores the relationship between sanitation and health in developing countries including topics such as excreta management options including ecosanitation; sanitation promotion; excavating, lining and emptying pits; wastewater disposal options; hygiene and solid waste disposal options. The theory in the course is balanced with practical sessions where participants will construct latrine slabs, construct hand washing stations and design and size pits. Participants will also have the opportunity to create an action plan for their future work in the field of low cost sanitation. This is an introductory level workshop. Participants will work with concrete and construct a basic latrine. The training also give the participants an opportunity to network with each other and discuss their projects, identifying what is working and what needs improvement. We are also fortunate to have Jerry Hamilton visiting Malawi during the time that the training is going on. Jerry has visited Malawi several times and was instrumental in setting up the biosand water filter pilot project with the Blantyre Synod Health and Development Commission in 2010. Jerry is an accountant so he will use his expertise to review the financial information of each program and ensure that funds are being allocated appropriately. We are planning a lunch at Deer Park Church on October 28th to update everyone on the progress of the projects and to show pictures that Jerry will have taken. Please mark your calendars.